Where to eat in London? Where to start? I’m not a very organised traveller. Unlike some of my friends who research, pre-book and set off with a gastronomic itinerary, I have enough trouble just getting myself on the plane. 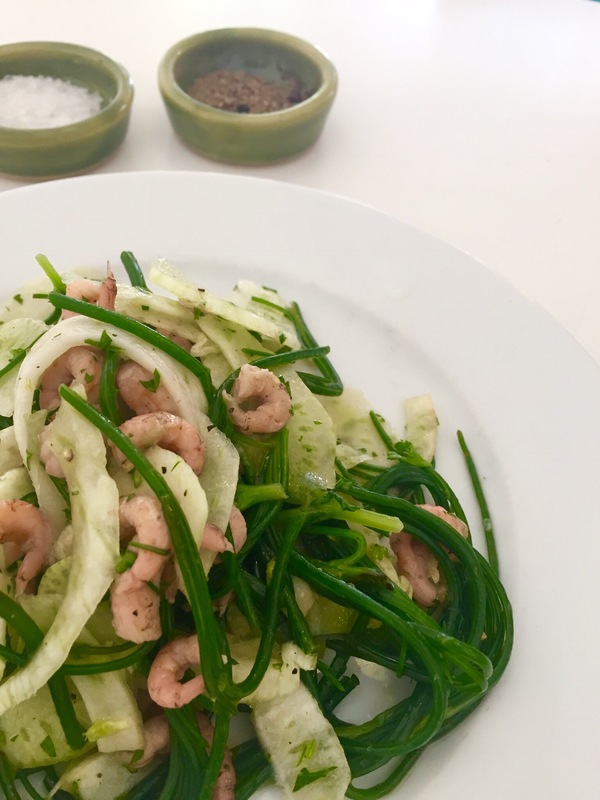 Inevitably I miss out on some great experiences – I’ve yet to get to any of Yotam Ottolenghi’s eateries – but I’ve also made some memorable discoveries by leaving things to the last minute. An element of risk sharpens the appetite and on this latest stay in London I was amply rewarded by leaving it to chance and the helpful advice of friends on the ground. People say London is a city of hidden treasures. It’s true. I was born in London and I spent some time living and working there back in the 80s but I wouldn’t say I know it. I’ve barely scratched the surface and I don’t think I’ve ever been to Shoreditch, much less the former housing estate where I was taken for lunch by my friend Jody and her son Charlie Scott, a promising young chef, currently working at La Gourmandina in Bloomsbury. The red bricked Victorian era estate, complete with its own school, was sold under Thatcher’s controversial Right to Buy initiative – a policy that led to the dramatic reduction of social housing. Now renovated and gentrified, the Boundary Estate is home to several design businesses and a casual-chic restaurant that’s located in the former bike sheds and playground of the old school. Named Rochelle Canteen, after the school, it’s entered through a small doorway marked ‘Boys’. 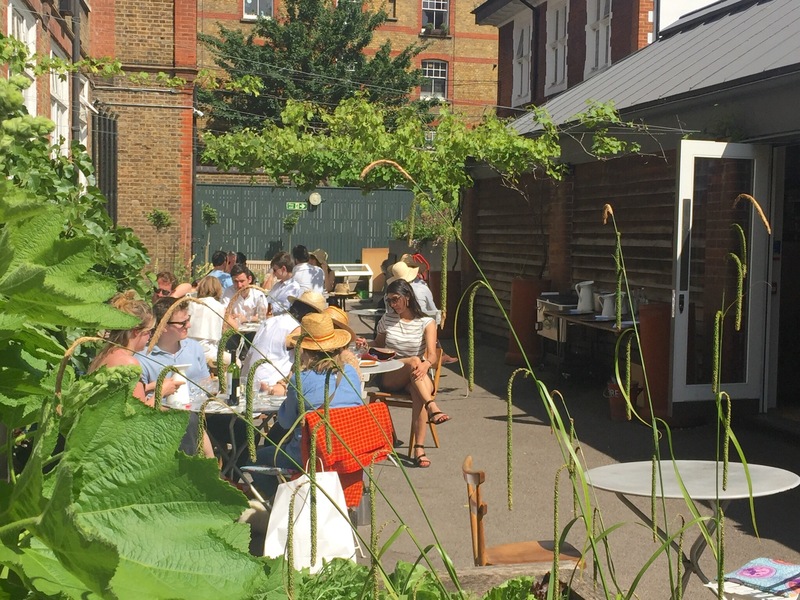 It’s not easy to find – the only clue to its whereabouts is a signboard on the pavement outside – but press a buzzer and the door opens on to a walled garden with a well kept lawn, outside tables, and a raised vegetable garden that supplies a menu that changes daily. The menu is as English as the garden it’s served in. Gull’s eggs with celery salt, smoked cod’s roe with radishes, cucumber and lovage soup, poached salmon, heritage pork (Gloucester Old Spot) whole crab, marsh vegetables and little brown shrimps just like the ones from the Wirral Peninsula where I grew up. It made me nostalgic for the England I remember through rose-tinted glasses: badgers in the woods, cricket on the village green, gooseberries in the garden and potted shrimps on Sunday. I had to order the lemon posset, how could I not? The food was effortlessly simple and beautifully flavoured. It reminded me of Nikau Cafe in Wellington. The ambiance was light and airy, the service friendly and snappy, and the vegetables were superbly presented – picked straight from their garden beds and served raw, lightly steamed, still crunchy or wilted for maximum flavour. It helped that London had turned on the sunshine the day we visited. 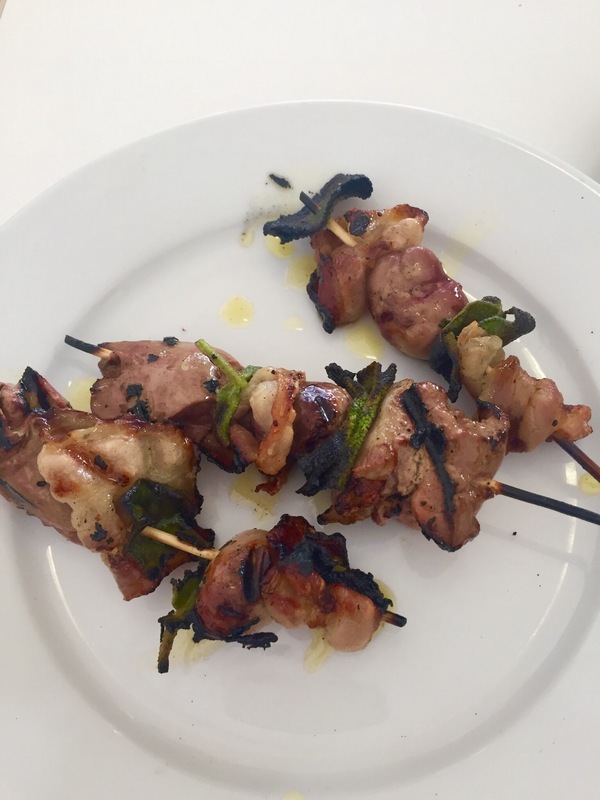 The outside tables were full and there was the barest sniff of a barbecue coming from the open air grill as as it charred the edges of a my entrée: skewers of rabbit offal (juicy, tasty, smokey, delicious). The offal was a clue to the ownership of the restaurant. Charlie told me it was owned by two women, one of whom was married to nose-to-tail chef Fergus Henderson of the celebrated restaurant St John. I put two and two together when my lemon posset arrived with a stick of ginger crunch. I knew Fergus was married to a New Zealander and, as luck would have it, Margot Henderson was seated at an outside table. I stopped by for a chat. Margot is originally from Wellington so we had friends and places in common. She told me she visits Wellington once a year and the first thing she does on arrival is head into town for lunch at her favourite eatery. I got it in one. Nikau at the City Gallery. Of course. I’ve just discovered a new olive oil and unusually for me it’s from Greece. For years I’ve been in the habit of buying Italian oil by the litre for cooking and local New Zealand for the table – a different one every time. My new oil, from Vassilakis Estate was recommended to me by Frederic, the manager of Le Marché Français in Wellington. The idea that a French delicatessen should not only stock a Greek olive oil but give it a prominent display, centre stage, intrigued me. I don’t think I’ve ever seen an estate bottled Greek olive oil on the shelf in this country, let alone bought one, so I read up on it. I discovered that Greek producers have been slow to follow the boutique trend, and not because their oils lack quality. Greece boasts the highest percentage of extra virgin olive oil in the world (up to 80% of their total production). Despite that, most of the exported oil is shipped out unbranded to countries who use it to raise the quality of their own bulk blends. Boutique brands are in the minority but if the international awards are anything to go by, their numbers are increasing. This one made it to Wellington thanks to businessman Paul Robinson. He discovered it while on holiday in Crete and was so impressed by the oil and the Vassilakas family who produce it that he rashly imported two pallets and had it delivered to Le Marché Français at the Woolstore, his building on Thorndon Quay. The Vassilakis family has been producing oil from their estate since 1865. The current generation is proud of their heritage but they are also investing heavily in the future with modern extraction technology and contemporary branding. Given the current Greek crisis, that’s as brave as it is smart and I imagine it was part of what appealed to Paul when he put in his order. He told me he likes the idea that his own family business, the Woolstore, is supporting another family business in Crete. I’m a sucker for a story like that so I paid $10.90 for 200ml of the best in the range and I tasted it neat, sipped off a warm spoon. (I’ve always thought it a strange way to taste a product that is otherwise never consumed like this but it is the fairest way to evaluate and compare olive oils.) Like most Greek olive oil this one is made from koroneiki olives which produce a very low acid, fruity flavoured oil. balanced with a pleasant bitterness (think raddicchio). I also found it nicely buttery with a silky mouth feel, a grassy aroma and a peppery finish that lingers like a warm evening in Crete. I’ve been sloshing it about quite liberally. Its slight bitterness is perfect on a green salad – it’s like adding a few dandelion leaves to the mix – and it’s very good drizzled on my (mostly) homegrown tomatoes with mozzarella, sea salt and basil. I spent the morning at the Beehive today in support of artisan cheesemakers Biddy Fraser-Davies (Cwmglyn Farmhouse Cheese) and Jill Whalley (Mt Eliza Cheese). The three of us presented submissions to the the Primary Production Select Committee who are labouring over the NZ Food Safety Reform Bill. The proposed reforms are a reaction to Fonterra’s whey protein contamination scare back in 2013. The bill aims to tighten the regulatory framework. Biddy and Jill gave compelling accounts of the costs they already face in complying with laws designed for the big dairy companies. My submission outlined the reasons why we need to support our artisan cheesemakers. I’ve stood alongside Biddy and Jill and Chris Whalley as they make their cheese and I can tell you they are good operators – their premises are spotless, they know the science, they monitor, test and record every step of the process, and they produce very good, characterful cheese – cheese that New Zealanders can be proud of. New Zealand is the world’s leading dairy exporter. Milk, butter and cheese: it’s how the world sees us – and yet our food safety laws make it nearly impossible for our artisan dairies to operate. Listen to the submissions today and you’ll wonder how these businesses make any money at all. I believe we are reaching a tipping point – by trying to eliminate risk we risk losing the artisan sector. We need these small businesses to succeed because they do what the big companies don’t. They innovate, they set trends, they test the market, and the big companies follow. You see it across all food categories – craft beer, artisan bread, coffee, ice cream, even butter (thanks to Lewis Rd). I speak from experience having introduced fresh pasta to New Zealand many years ago. We started small, built the business over several years (with no food safety issues) then sold it to a multi-national who saw value in further developing the category. It’s now mainstream. Could we have built that business under the current and proposed food safety regulations? Given the compliance costs, I don’t think so. Neither, I suspect, would Kapiti Cheese who started at the same time. They’re now owned by Fonterra. That’s how it works in the food industry. Small companies innovate, big companies follow, or take over. So I find it strange that on the one hand we talk about the need to add value to our dairy industry and on the other hand we pass laws that make it extremely difficult for people to do so. Bills such as this one will continue to stifle innovation – to the detriment of the industry as a whole. Without the artisans we wouldn’t be making goat and ewe’s milk cheeses – products with enormous potential. Without people like Biddy and JIll we wouldn’t be making raw milk cow cheese, so why do we insist their cheeses meet a much higher standard than raw milk cheese imported from Europe? Where is the sense in that? Of course we need to keep our food safe but this is risk management gone mad. It’s paranoid and it’s unfair. If Fonterra had to pay more than 40% of their revenue in compliance costs – as Biddy will this year – they’d be screaming, and the regulators would be making more than the producers. It’s high time that dairy scientists and MPI got together with the specialist cheesemakers to work out a sensible validation and testing regime that’s appropriate to the scale of their smaller non-export businesses. And then maybe their compliance costs could be subsidised by the bigger dairy companies who stand to gain the most from a well-supported artisan sector. As you go through this Food Safety Reform bill, clause by clause, put yourselves in the shoes of small businesses who want to create new products, and try to strike a balance between the need to minimise risk and the need to create an environment that fosters the sort of innovation that will add value to our most important primary industry. The celebratory dinner hosted by the French ambassador Florence Jeanblanc-Risler in Wellington on Monday night (21/3/16) was everything I love about French dining. Beginning with an aperitif and polite conversation, we moved to tables graciously set with a regiment of silver, and proceeded to work our way through an elegant procession of dishes representing the best of French cuisine. The occasion was the launch of Goût de France, an annual event (now in its second year) that celebrates French gastronomy in various restaurants worldwide. It’s all about honouring the legacy of the greats – we toasted Carême, Escoffier, Vatel, Brillat-Savarin – and recognising the techniques and ingredients that remain the backbone of contemporary French cuisine. In New Zealand eight restaurants are combining local ingredients with French inspired recipes this week (commencing 21/3/16) – Hippopotamus, Jano Bistro and Whitebait in Wellington. Bracken in Dunedin. Hopgood’s in Nelson, Kazuya and The Grove in Auckland, and Pacifica in Napier. Each will bring their own style to the event. The Wellington menu was fairly traditional, as befits an embassy occasion. The ambassador’s chef Fabien Le Gall worked with former embassy chef Veronique Sauzeau (now Le Marché Francais) and Laurent Loudeac (Hippopotamus Restaurant) on a six course menu beginning with consommé and ending with chocolat. French and New Zealand wines accompanied each course. Laurent’s signature dish of Aoraki salmon served trois façons (ie, confit, tartare and wood smoked) was followed by a classic pot au feu (tenderly poached filet de boeuf in bouillon with ‘forgotten’ vegetables and a dash of truffle oil). It came with toasted walnut bread that was slathered with bone marrow and salt crystals – it was the perfect rustic counterpoint to the refined bouillon and I confess I had to dunk it. Discreetly, I think. The dessert was a degustation of chocolate – crowned for me by a dark chocolat ganache with a sliver of candied orange peel. The cheese course was magnificent: an oven baked Mont d’Or with sautéed oyster mushrooms and crispy fried parsley to garnish. We broke through the crust and took it in turns to spoon the melted cheese on to our plates. It was unctuous. No one does cheese like the French. Ripe and savoury, sensual, sophisticated – it was un vrai goût de France. Yesterday, at Old St Paul’s, Wellington’s restaurant community farewelled a much loved colleague, Pierre Meyer. I’m hoping the Dominion Post is researching his obituary as I write this because he deserves to be celebrated as a much loved chef and restaurateur who made New Zealand his home and changed the face of dining in Wellington. When his eponymous restaurant opened in the late 70s on Tinakori Rd there were only 4 licensed restaurants in Wellington and all were fine dining establishments. Pierre’s was different. A French bistro housed in a refurbished wooden villa, it was at the forefront of a change to chic but casual dining. He served duck parfait, whole roasted poussin, delicate fish dishes, apple tarts and homemade glacés. It may not seem special these days, when ice cream is flavoured with everything from liquorice to miso, but back in the day Pierre caused a sensation with his kiwifruit ice cream. It must have stayed on the menu for as long as his restaurant stayed open, which is to say for many years. Not many restaurants retain their popularity for as long as Pierre’s. Its success was as much to do with the man himself and the team he built around him as it was to his food. The turnout at his memorial service was testament to that. The church was filled with his friends: people who dined at his restaurant and attended his cooking classes; people who worked for him, socialised with him and rubbed shoulders with him at food and wine events. His fellow restaurateurs were there too, representing a slice of the capital’s culinary history: Marbles, The Roxborough, City Limits Cafe, Boulcott Street Bistro, Brasserie Flipp, Cafe L’Affare. They were all there, along with one or two of us who used to supply them. Dan and I owned a fresh pasta business back then. That’s how we first met him. We supplied him with pasta, and it was typical of Pierre that he demanded the best and he demanded bespoke. I remember having to put our regular production on hold to make very small quantities of saffron fettuccine for him. It was inefficient, uneconomic and a pain in the neck to be honest, but he was so charming and so encouraging it was impossible to say no. And of course we were proud to have our pasta on the menu of an establishment that made almost everything from scratch. We all had our Pierre stories yesterday. I never knew he was such an appalling driver. And I never knew he influenced a change to our licensing laws when a table of parliamentarians witnessed a raid on his restaurant. Close down Pierre’s? It was unthinkable. Rumour has it the law was changed the very next day. Thank you for that, Pierre. Thanks for everything. Who else remembers magazines with recipe pages designed four to a page and formated on both sides so you could cut them out and collect them as recipe cards? Food pic on one side and recipe on the other, they were a good idea but the boxed set never really challenged the traditional way of filing recipes in ringbinders and scrapbooks. Well now they’re back – not as magazine cutouts but as fully formed sets of cards neatly stacked in boxes that look good on the bench. Penguin the publisher has its version and so has Ripe the delicatessen. I love the Ripe version. It arrived just before Christmas in a flat pack with assembly instructions that make the building process quite simple – no nails required. Whoever thought this system through is a genius. 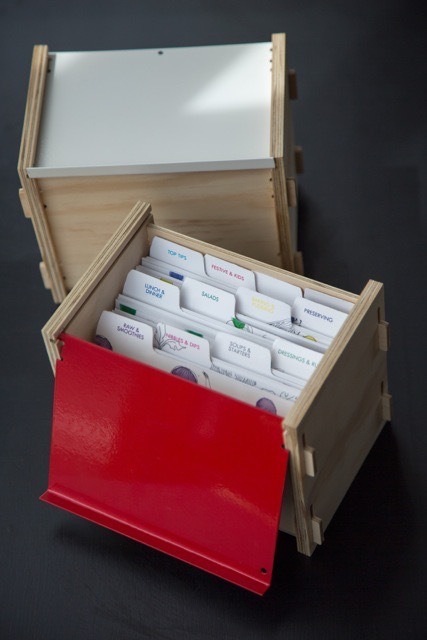 The laminated cards stack up neatly between colour-coded dividers in a smart plywood box that has a metal lid which doubles as an angled card holder – no more using the pepper mill to keep the right page open on the bench. The indexed dividers are smart too, arranging the recipes in a way Ripe devotees like to cook. There are sections for Salads, Nibbles and Dips, Dressings and Rubs, Soups & Starters, Lunch & Dinner, etc. and a handy secton for measurements, tips and conversions. My box came with two sets of themed cards: Summertime and Festive Celebrations. I’m told more sets will be published on an ongoing basis and there are also a few blanks for recipes that come from elsewhere. I’ve already started stuffing my box full of extras and I’ve also tried out a few of the original recipes. These are fresh and flavoursome with Ripe’s signature emphasis on clever salads and decadent baking. Given the retro nature of the boxed set idea I was particularly drawn to a recipe that reinterprets a dish from the 70s. Back then, when I was little, dining out with my parents was a huge treat. I loved being able to choose three courses from a menu. I like to think I was pretty adventurous but when it came to the entrée I always chose the avocado. 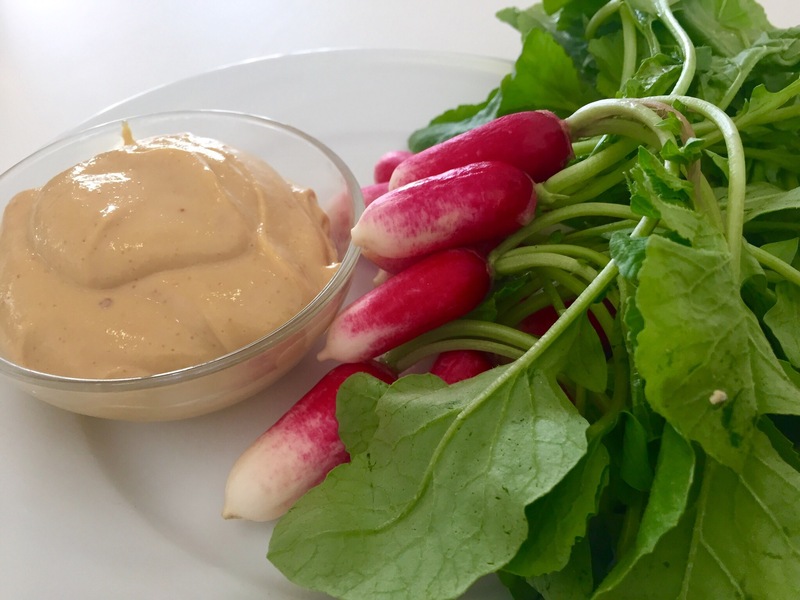 In those days it was an ‘avocado pear’ and it came either halved and filled with vinaigrette – how I loved scooping out the flesh and dunking it into the oily pond – or it was stuffed full of shrimps coated in Thousand Island Dressing. 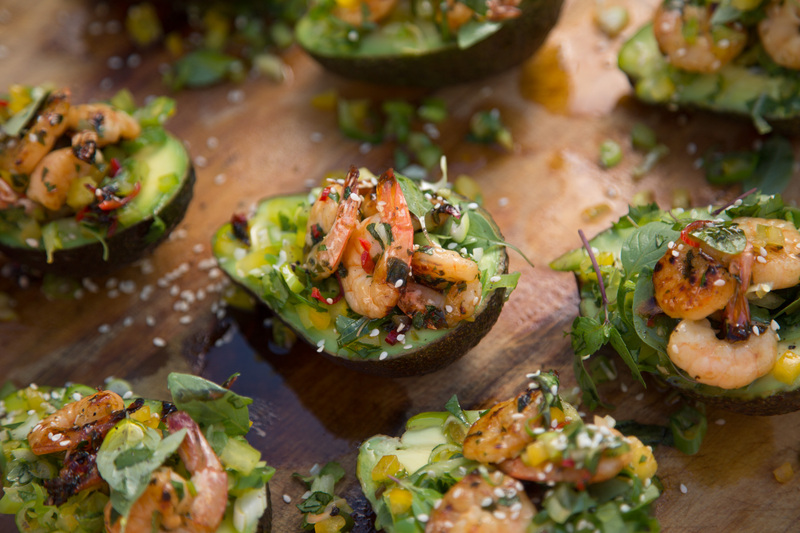 I liked them either way but now I’m a grownup I much prefer Ripe’s Asian-inspired avocado boats filled with spicy prawns. Recipe below. To marinate the prawns: in a bowl, place the prawns, chillies, lemon zest & juice, sugar, lime leaves & sesame seeds. Toss to coat the prawns in the marinade. Place in the refrigerator for at least 15 minutes. In another bowl, mix the spring onions, coriander, capsicums & Thai basil leaves together. Place a frying pan over a high heat; once the pan is smoking hot add the coconut oil. Then add the prawns & the marinade, fry for a few minutes or until the prawns are caramelised & golden. Remove from the heat & transfer the prawns with any remaining marinade in the pan, into the bowl with the spring onions & capsicums. Season to taste with salt & freshly ground black pepper. Cut the avocados in half, remove the stone but leave the skin on. Place the avocados on a serving platter. Top each avocado with a big spoonful of the prawn mix. Serve with wedges of lime on the side. Serves 10 as an entrée.